Well these look rather tasty...shame about the price tag. Wow, that’s quite a design step with a stand like that. £3,000 all up is probably reasonable if it as good as it promises. 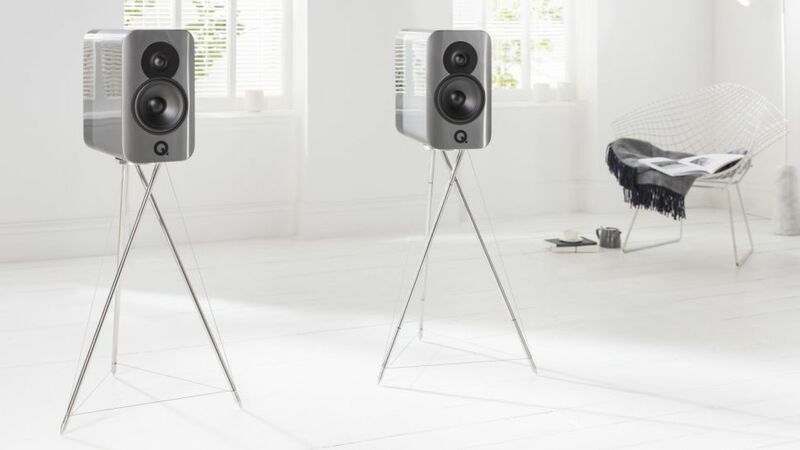 Meanwhile the two-way Concept 20s are reduced to just £279 at Richer Sounds. They've been doing the Concept 500 floorstanders at £4k for about a year now, so this is a continuation in the move upmarket. Hopefully they'll have the 300s at Bristol. Yeah the 500's are old news now. They never really sold at £4k, more around the 3200-3300 mark. Seeing that these new ones are just standmounts, 3k is pretty steep imo, but sadly audio companies are releasing the bigger markup in pricey models and the Asian market being so wealthy, and willing to pay it, its a licence to print dollar. 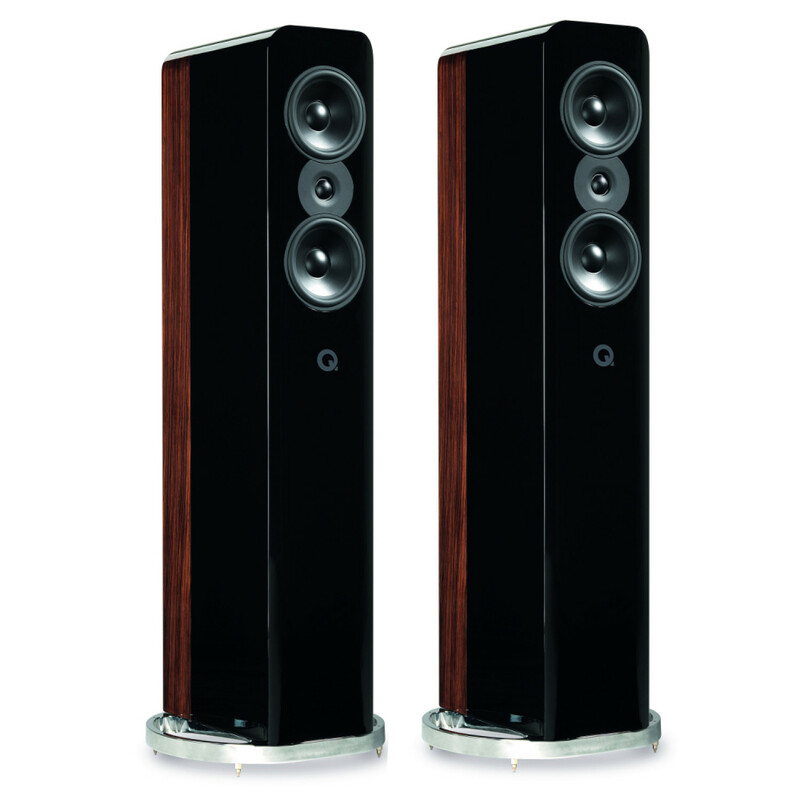 Shame though, Q Acoustics once stood for fairly priced and good performance. The 500's have a cheaper finish option now, paint all over without the wood at the back, knocks £400 off the price so maybe the 300's will have that option soon, would like to hear a pair. If they cease to produce high quality budget speakers then we have cause to worry. If, however, they continue with their budget range in the same way as before and also produce a range of premium speakers then they're not letting anyone down. Instead, they're adopting an approach wherein a customer might not have to leave the brand when they suddenly find themselves with a lot of money to spend on their next pair of speakers. This makes sense to me. In this case, I wish them the best of luck. However, they've set the bar quite high in the budget market, so these premium speakers will need to be very good. I've always been a big fan of Qacoustics. I have their Q7000i 5.1 speaker package as well as their concept 5.1 speaker package. And iam delighted with both. I wanted to try the concept 500's, but they are too big for my room. Besides they are known to have some potent bass and are rear ported. But I can't afford much room at the back either. I have my 500s only 30cm from rear wall using the provided partial port-plug*. No booming at all but they are big beggars! If they are anything like the 500s, they are worth waiting for! sadly audio companies are releasing the bigger markup in pricey models and the Asian market being so wealthy, and willing to pay it, its a licence to print dollar. We can hope but sadly I dont think its even possible..the Chinese pretty much dominate E-Commerce in the UK, and to think they still have a substandised UN postal system paid for partly by UK taxpayers/Royal Mail because they where once classed as a 'developing nation'! Well if the Royal mail as it currently stands, has any involvement with the Chinese postal service, then it will soon go down the pan. I've owned the concept 20s they where great little speakers I am looking at upgrading in the summer so.may have a listen to these.also going to home demo B&W 805d3s as well.